In these Terms, references to "you", "User" shall mean the end user accessing the Website, its contents and using the Services offered through the Website. "Service Providers" mean independent third party service providers, and "we", "us" and "our" shall mean Pdlprint, its franchisor, affiliates and partners. www.Pdlprint.com.com website ("Website") is an Internet based content and e-commerce portal for personalized gifts and wedding portal. Use of the Website is offered to you conditioned on acceptance without modification of all the terms, conditions and notices contained in these Terms, as may be posted on the Website from time to time. Pdlprint.com at its sole discretion reserves the right not to accept a User from registering on the Website without assigning any reason thereof. The user guarantees, warrants, and certifies that you are the owner of the content which you submit or otherwise authorized to use the content and that the content does not infringe upon the property rights, intellectual property rights or other rights of others. You further warrant that to your knowledge, no action, suit, proceeding, or investigation has been instituted or threatened relating to any content, including trademark, trade name service mark, and copyright formerly or currently used by you in connection with the Services rendered by Pdlprint.com. User data and information provided may be shared by Axel Retail Private Limited with its partners. Pdlprint.com hereby disclaims any guarantees of exactness as to the finish and appearance of the final Product as ordered by the user. The quality of any products, Services, information, or other material purchased or obtained by you through the Website may not meet your expectations. Before any alterations to certain aspects of your order such as spellings, grammar etc , that a representative from Pdlprint.com will call you or send an approval request via the email address which you submitted when placing your order. If you do not agree with the requested change you retain the right to reject the requested production change by replying to it within 7 days of it being sent to you. Unless otherwise indicated or anything contained to the contrary or any proprietary material owned by a third party and so expressly mentioned, Pdlprint.com owns all Intellectual Property Rights to and into the Website, including, without limitation, any and all rights, title and interest in and to copyright, related rights, patents, utility models, trademarks, trade names, service marks, designs, know-how, trade secrets and inventions (whether patentable or not), goodwill, source code, meta tags, databases, text, content, graphics, icons, and hyperlinks. You acknowledge and agree that you shall not use, reproduce or distribute any content from the Website belonging to Pdlprint.com without obtaining authorization from Pdlprint.com. Title and risk of loss for all products ordered by you shall pass on to you upon Pdlprint.com's shipment to the shipping carrier. Discounts will be applied to the total merchandise value. Issuance or redemption of a voucher or coupon will apply to the total value of the qualifying order once all promotional discounts have been applied. Final charges after applying coupons and vouchers will be inclusive of product charges and as well as customization charges Only one credit note/gift coupon/coupon can be used per order unless otherwise stated. Discount coupons - Discount coupons may from time to time be offered to account holders; such coupons may only be applied to purchases made through the account to which the discount coupon was offered and registered. If you need a refund, this will be made in the same way as the original payment method (such as onto a gift voucher, debit/credit card account, a combination of the two and in case of COD, a cheque). Promotional discount coupons - We may from time to time offer promotional discount coupons which may apply in respect of any, or certain specified, purchases made though this Website. 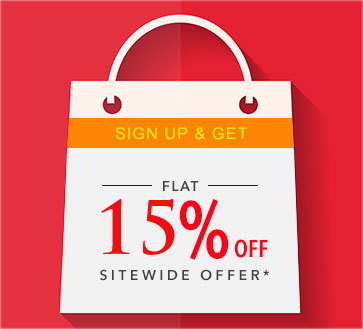 Pdlprint.com shall introduce various offers, schemes or contest at different times. The terms and conditions for such Contest shall be separately available on the Site. Pdlprint.com reserves the right to change/modify/add/delete any of the terms and conditions prevailing on the different promotional schemes it introduces in market from time to time. Pdlprint.com, at its discretion, can withdraw a particular scheme from the website or market. In case of any query pertaining to use of coupon and/or credit note or regarding the schemes, please email customer care at support@pdlprint.com While participating in any Pdlprint.com contest you hereby agree to release and hold Pdlprint.com and its officers, directors, agents, subsidiaries, affiliates, joint ventures, and employees) harmless from any claim or demand, but not limited to reasonable attorneys' fees, or arising out of or related to your participation in the said Contest. In order to get your order delivered to you soon, we print the orders same day. As long as your order has not been processed, we can cancel it and refund your amount. Please get in touch with our customer support team to cancel your order. The refund will be initiated in the form of voucher that will be emailed to you immediately. However, the cancellation of orders will be done only if they are respected to below listed terms and conditions: You can cancel your orders within one hour of booking the same order. You are requested to immediately call at +91 9496461930 / 0484 659224 or you can drop an email at support@pdlprint.com along with your order number for any cancellations to be made. Your orders can also be cancelled if pdlprint.com team finds your payments have not been received. Non receipt of Payment- In case the payment for the order is not made pdlprint.com will automatically cancel the order. An email notification is sent to you when we cancel the order.